Ten Year 5 children from Eagle Owls were invited to attend a special science day at Norwich High School for Girls. It was a fantastic day! 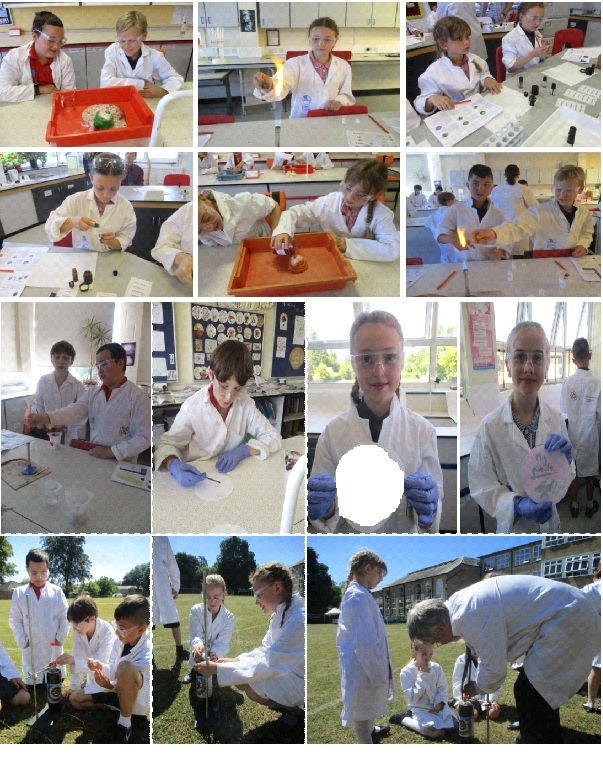 There were four activities: Eruption (using bicarbonate of soda and mentos and coke), Solve the Crime (using Bunsen burners to complete a flame test to identify different metal salts), Secret Messages (using lemon juice, iron, acids & alkali and natural indicators to write messages) and finally, Perfume Chemistry (making a perfume and a foot balm. It was a really super opportunity for the children to experience high school laboratory equipment.